If you are a devoted Macro Photographer and want to get a little closer than Extension Tubes are an ideal and inexpensive solution. These tubes increase the maximum magnification level of your Macro lens by distancing it from the sensor. As there is no glass elements in the tubes, the quality of the picture remains the same. 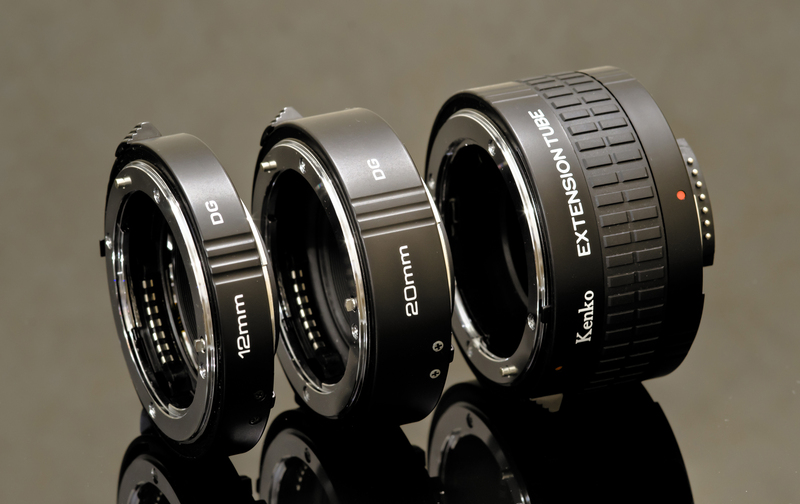 This overview describes a set of Kenko Extension Tubes which come in 12mm, 20mm and 32mm focal lengths. There is a variety of Extension Tubes for DSLR cameras available on the market, including both generic and brand names such as Nikon and Canon. Remember that the cheaper extension tubes do not transfer any information from the lens to your camera so you will have adjust all the settings manually, including the lens aperture, which can be really annoying.